1. 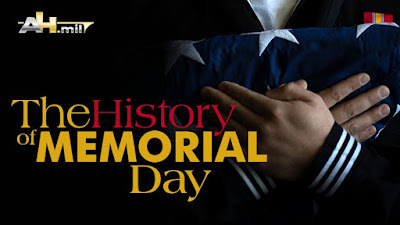 Memorial Day is not a new idea: Societies have celebrated and honored their war dead since time immemorial. The Greeks and Romans, for example, held annual days of remembrance each year, decorating gravesites and holding feasts and festivals. The Greeks also held public funeral processions after major battles, to honor all of their fallen. Legendary General Pericles memorialized the heroes of the Peloponnesian War during one such funeral in 431 B.C., according to the Department of Veterans Affairs and History.com, saying "Not only are they commemorated by columns and inscriptions, but there dwells also an unwritten memorial of them, graven not in stone but in the hearts of men." 2.Memorial Day was known as Decoration Day for more than a century, after the flowers and flags used to decorate graves. 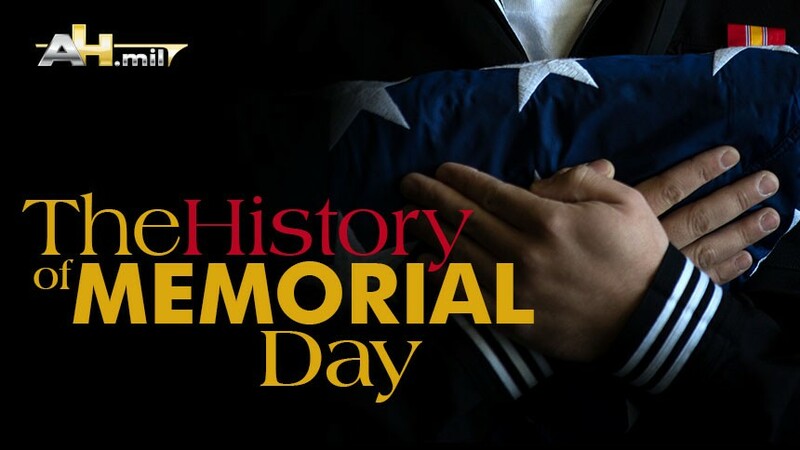 Until World War I, the holiday solely recognized those killed during the Civil War - some 625,000 men. The number, historian David W. Blight pointed out in a New York Times op-ed, was so staggering that if the same percentage of Americans had died in Vietnam, some 4 million names would be on the Vietnam Veterans Memorial Wall. 3. According to the VA, about 25 cities claim to be the site of the first Memorial Day celebration, although President Lyndon B. Johnson officially recognized Waterloo, New York, as the birthplace in a 1966 presidential proclamation. The city hosted its first commemoration, May 5, 1866, after a local druggist suggested it would be nice for the city to honor its war dead. Boalsburg, Pennsylvania, claims the honor as well, as do Carbondale, Illinois; Richmond, Virginia; Macon, Georgia, and two separate towns named Columbus. 4. In 1865, a group of newly freed slaves dug up a mass grave in a Charleston, South Carolina, race course, where at least 257 mistreated Northern prisoners of war had been thrown after dying of disease, according to Blight. To recognize the Soldiers' sacrifices in the name of freedom, the former slaves buried each man properly and built a fence around the new cemetery to honor the "Martyrs of the Race Course." They then staged a 10,000-person parade on the racetrack, complete with flowers, crosses and music, May 1. A brigade's worth of Union Soldiers participated, including the 54th Massachusetts and the 34th and 104th United States Colored Troops. 5. At the same time, the holiday has distinctly Confederate roots. Even before the war was over, Southern women gathered in cemeteries to decorate the graves of their fallen with flowers. In the spring of 1866, Mary Ann Williams wrote to the Columbus Times on behalf of the Ladies Memorial Association of Columbus, Georgia, suggesting a "certain day to be observed, from the Potomac to the Rio Grande, and be handed down through time as a religious custom of the South to wreath the graves of our martyred dead with flowers." She recommended April 26, the anniversary of Gen. Joseph E. Johnston's surrender of the largest remaining Confederate army to Maj. Gen. William T. Sherman in North Carolina. Newspapers nationwide reprinted her letter, although at least one used the wrong date. As a result, Columbus, Mississippi, held its celebration a day early. 6. Major Gen. John A. Logan, commander in chief of the Grand Army of the Republic, an early veterans service organization, reportedly spoke at one such ceremony in his hometown of Carbondale that year. He later declared May 30, 1868 a day for "strewing with flowers or otherwise decorating the graves of comrades who died in defense of their country during the late rebellion, and whose bodies now lie in almost every city, village and hamlet churchyard in the land. ... Their soldier lives were the reveille of freedom to a race in chains and their deaths the tattoo of rebellious tyranny in arms. We should guard their graves with sacred vigilance." He selected the date because it wasn't the anniversary of a major Civil War battle, but also, historians believe, so the "choicest flowers of springtime" would be available in the North. 7. The first national Decoration Day observance took place at the fledgling Arlington National Cemetery that May 30 in response, featuring a keynote address by Union Maj. Gen. and future President James A. Garfield: "Here are sheaves reaped in the harvest of death, from every battlefield of Virginia. ... The voices of these dead will forever fill the land like holy benedictions," he told about 5,000 people, including another future president, Gen. Ulysses S. Grant. The 3rd U.S. Infantry Division (The Old Guard) began placing small flags on each grave at the cemetery a few days before the holiday in 1948, a tradition that continues today. 8. Every state had adopted Memorial Day as an official holiday by the turn of the century, but it didn't become a federal holiday until 1971. The observance also moved from May 30 to the last Monday of the month, according to the VA.
9. Congress further enshrined the importance of Memorial Day in December 2000 with "The National Moment of Remembrance Act," which encourages all Americans to pause at 3:00 p.m. local time for a moment of silence to honor and remember those who have given their lives in service to the United States. Thank you for your posting, Paul. I wonder why people use the weekend to stuff their faces with food, drown themselves in booze, and give not a thought to men and women in uniform around the world. I like to think that we served - and fought - to provide Americans the freedom to stuff their faces and booze it up without a care in the world. But these days, more than ever in my lifetime, a good number of people do in fact think - and care - about military people, veterans and those who gave their life for their country.